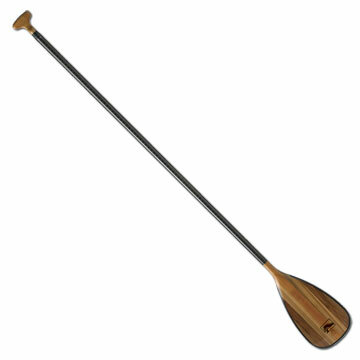 Bending Branches Amp Wood Stand-Up Paddle - A beautifully-crafted source of power, the Amp SUP paddle from Bending Branches has all the juice you need to get where you want to go. Lighter than most full-synthetic paddles, the Amp marries high-tech with the beauty and warmth of wood. The Red Alder palm grip is shaped to match the curve of your hand. Rounded blade edges avoid catching on the water. Wraparound Rockgard edge protection helps guard your the Amp Stand up paddle against dings. An aviation-grade carbon shaft provides stiffness and maximum power transfer. The shaft length is adjustable, allowing you to customize the fit for different height paddlers. The Bending Branches Amp SUP paddle looks as good in the surf as you do.